It’s the end of term and what a sunny day! 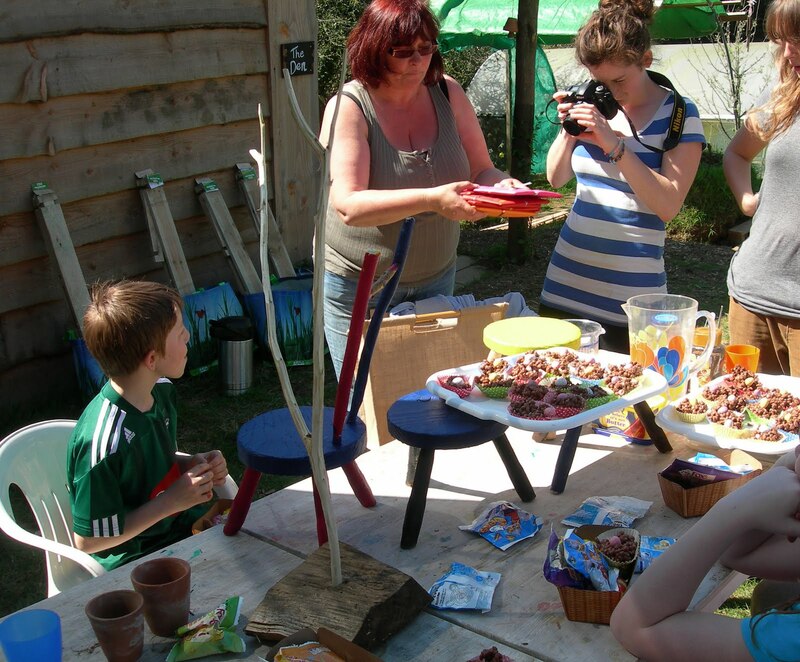 Today we were really productive and made windmills, which work well as bird scarers and shine in the spring sun…. ….amazing wooden stools with Rory, painted bright sunny colours…. ….made chocolate crispy nests…. yummy!…..
…used the Den for hiding them in!!! Then had a lovely party! Meg made everyone a WONDERFUL book showing the TAP Projects progression. Thanks Meg! What a great end to an AMAZING day.